Broan Elite Chimney range hood. This wall mounted chimney hood combines graceful curves with traditional European styling to meet today's conventional appliance and kitchen styles. A highly affordable chimney hood, available in black to complement your dicor. 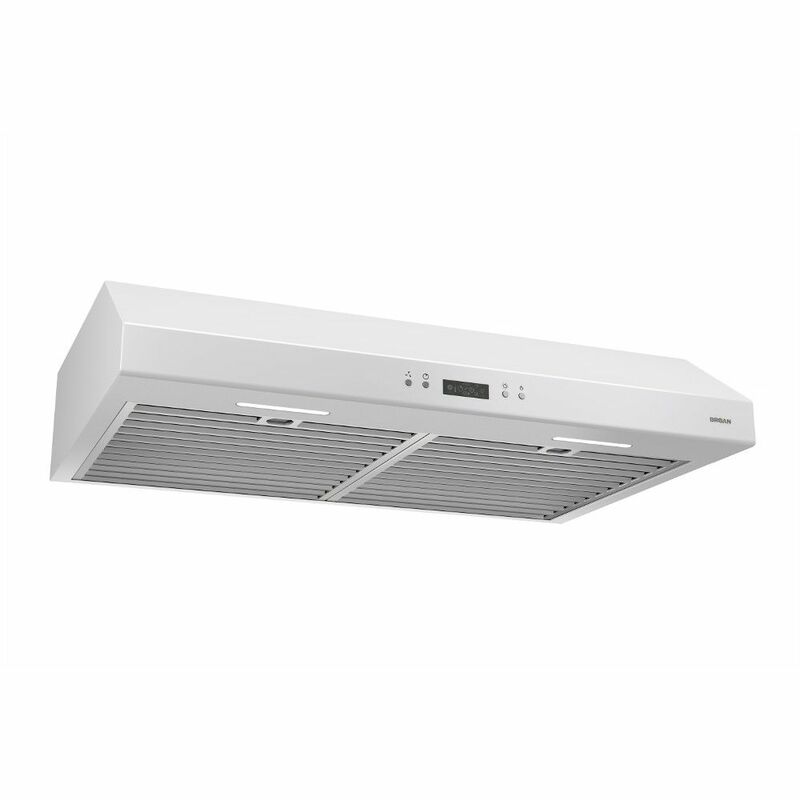 30 inch 600 CFM Under cabinet range hood in white Glacier Series. The uncompromising choice. Air quality is a top concern for today's families. The Broan series, with its superior capture efficiency, is the ideal solution. This model is sure to win over even the most demanding users with its innovative design, advanced technology, and unmatched performance.